The upland season is fading the rearview, sheds haven’t fallen and turkey and fishing season are not yet on the horizon. That makes it covetousness season. Time to sort through mud-filled shotgun hulls and scrape bloody feathers off unfired shells. Time to finally rinse out that dingy water bottle the dog and I shared for the second half of the season. Maybe sharpen a few knives and relace some boots. Mostly though, it’s time to browse the catalogues and covet things I do not need and cannot afford. For example, the CSMC A10 shotgun. 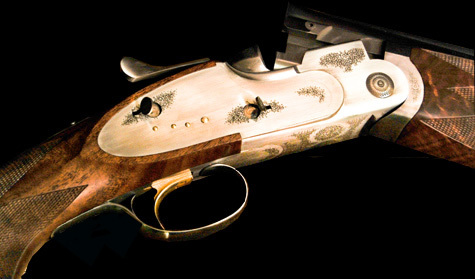 I have no need for a sidelock stack barrel, but I have been looking longingly at used Beretta S2s for years. Now, along comes an American made gun with hand detachable sidelocks for about what I would pay for a used S2. Do I need a straight stocked 20 guage sidelock with case coloring and an extra set of 28 guage barrels? Maybe not during the quail season, but right now? My wife hates it when the new catalogs come out. For some reason i just start drooling…. Holy crap. That is stunning.